Unmissable things to do in Exuma Bahamas, the Exuma Pigs! 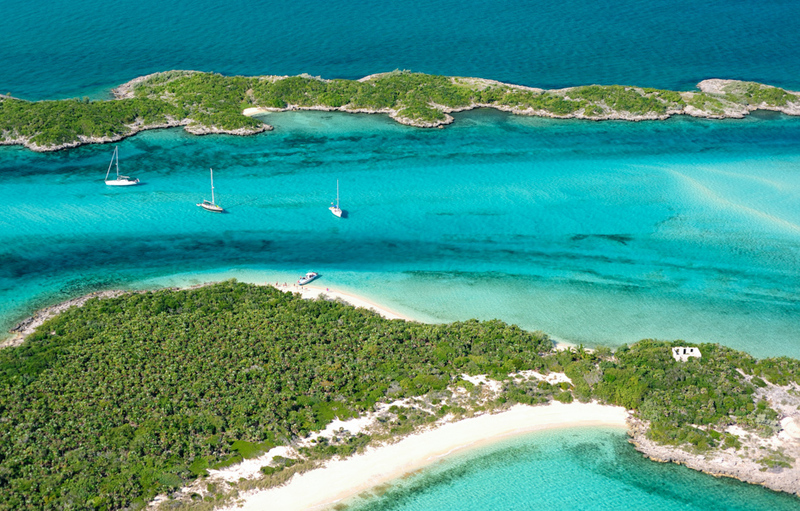 If you’re looking for things to do in Exuma, you will certainly be spoiled for choice. With almost 400 islands, countless attractions and experiences to fill a lifetime, the Exumas is one of the very best destinations in the Bahamas. Showcasing some of the most beautiful islands in the Caribbean, and by extension: the world, the Exumas are an absolute must for all trips to the Bahamas. This sub-archipelago within the Bahamas is comprised of 3 parts, Great Exuma, Little Exuma, and the Exuma Cays. Great and Little Exuma lie at the southern tip of the Exumas, and are home to an absolute gold mine of beautiful, tropical scenes. Though their beauty may be hard to match, if anything is up to the challenge, it’s the string of 365 islands to the north. The Exuma Cays are almost unparallelled in their pristine beauty. If you’re looking for things to do in Exuma, then be sure to add an extensive tour of the cays to your list. The Exumas are said to host some of the world’s best beaches, and are undoubtedly home to some of the world’s best tropical islands. To discover the Exumas always meant flying to Nassau, tackling the crowds and setting out on a long boat journey to your destination. Bahamas Air Tours has entirely changed the game. If you’re in Florida, you can be flown to a remarkably comprehensive number of islands in the Bahamas. In fact, the Exumas will feel like a heavenly playground as you island hop from one island to the next. This will allow you to really soak in the beauty of your surroundings from both in the sky and on the ground. One of the very best things to do in Exuma is to visit Little Exuma. Though at first glance it may seem like nothing more than a quiet Bahamian island, it is much more than that. Little Exuma is home to exquisite scenery, the most popular of which is on the island’s eastern shoreline. The Tropic of Cancer Beach is a glorious strip of white sand that draws in people from around the world to visit. The beach got its name from the latitudinal line known as the Tropic of Cancer which intersects the island, almost bisecting the beach itself. If the geographical significance of the beach doesn’t interest you, the beauty of it certainly will. The crescent-shaped strip of sand is ideal for a sunny stroll, allowing you to get lost in your gorgeous surroundings for a while. Soaking up the sun is also popular on this quiet beach. However, many people find true wonder beneath the surface. The calm waters lend themselves to a relaxed snorkel. The world that will open up before you as you press your goggles into the water is truly magical. If you’re wondering what to do in Exumas, a visit to Little Exuma’s Tropic of Cancer Beach is an excellent start. However, there is simply so many things to do in Exuma that this should only be the very beginning of your tour. Great Exuma, unlike Little Exuma, is not as quiet or peaceful. That’s not to say that it isn’t beautiful, and it is by no means crowded, but by Bahamian standards it is a fairly busy island. The reason for this is that it serves as a sort of hub for the out islands. More specifically, it is usually the first stop on any tour of the Exuma Cays. What this means is that a good portion of the island has been set up with infrastructure to support tours. That is not to say, though, that it is not an excellent destination in its own right. Georgetown is the largest settlement on Great Exuma, and the capital of the Exumas. This will be the perfect place to begin to look for things to do in Great Exuma. For a start, and to fuel up for the tour ahead, you could visit the local Fish Fry. You will find a wide range of seafood dishes here, many of which include one of the country’s most popular ingredients: Conch. This chewy white flesh can be prepared in a variety of different ways. What this means is that whether you’re hoping for a fresh salad to keep you feeling cool in the heat of the Caribbean or you want to sink your teeth into something delicious and deep fried, there will be something here for you. What better to follow up a feast at the local Fish Fry with than sightseeing? A trip to Great Exuma’s Mount Thompson will grant you one of the very best views on the island, second only to the view out the window of a Bahamas Air Tours plane. This panoramic viewpoint will give you an excellent line of sight directly to the famous rock formation just offshore. Known as Three Sisters, this magnificent formation rises out of the ocean and sets a brilliant focal point for some landscape shots of your Bahamian vacation. If you do plan to spend a night or more on Great Exuma, then there is no place better than Emerald Bay. Located on the northern point of the island, this area brings all the very best aspects of the Bahamas together. With water such a vibrant emerald-turquoise color, the bay has become a top destination in the Bahamas. In fact, not only are there a number of world-class resorts, but also an 18-hole championship golf course designed by none other than golfing legend Greg Norman. Golfing enthusiasts will think they have arrived in heaven when stepping foot on the glorious fairways that overlook the magnificent ocean. Being that Great and Little Exuma are just two islands, and the Exuma Cays make up a total of 365, it stands to reason that most of the things to do in Exuma are found here. This means that if you’re planning your Bahamas trip ahead of time, be sure to keep a significant portion of your time aside for exploring these marvellous islands. The Exuma Cays are so truly gorgeous that they are actually home to a number of celebrity-owned private islands. With the likes of Johnny Depp creating his very own getaway here, you can be sure that it is one of the top destinations on earth. One of the islands in the Exuma Cays stands out in particular, though. Staniel Cay is the jewel in the crown of the Bahamas. This gem of a destination is a veritable paradise. Staniel Cay is more than just an island though, it also acts as the centerpoint for a number of exceptional attractions in the area. With everything from sunken planewrecks and submerged caves to swimming with sharks, Staniel Cay offers it all. However, there is one tour that stands out amongst all the rest. The Exuma Pigs are the world’s most sought after trip, and for good reason! A visit to the island-dwelling of these adorable creatures should be at the top of your list of things to do in Exuma. The Exuma Pigs will paddle out to meet your boat as you arrive, helping to create some truly unforgettable memories for you and your group. There is something so surreal about watching these ordinary farm animals swimming around this tropical paradise. After answering what to do in Exumas, you may be wondering just how to get to Exuma Bahamas to begin the vacation you are no doubt already picturing in your head. Bahamas Air Tours is not only the most convenient option for all living in Florida, it provides the very best tours. It’s not so much what you do on the tours though, it’s the way that you experience them. Right from the off, you will be soaring above a truly majestic ocean. There is nothing quite so wondrous as looking down on sparkling islands surrounded by nothing but turquoise. Bahamas Air Tours puts the beauty and wonder back into flight. Couple these unique bird’s eye views with the tours on the islands below and you have yourself the vacation of a lifetime. Visiting the Exumas and exploring all the things to do in Exuma has never been so simple. If you’re pressed for time, you can even book a single bahamas day trip from Florida. The most convenient aspect of Bahamas Air Tours is all the time it will save you. The speed of air travel will ensure that you enjoy a comprehensive tour of the Exumas even in a single day. That is not to say, though, that you cannot book overnight trips. In fact, if you truly want to explore the Bahamas in all its glory, and spend some time watching the sun set over the picturesque ocean, then an overnight trip is for you. What’s more, is that with so many things to do in Exuma, you’ll need as much time as you can spare to enjoy it and all that it has to offer.